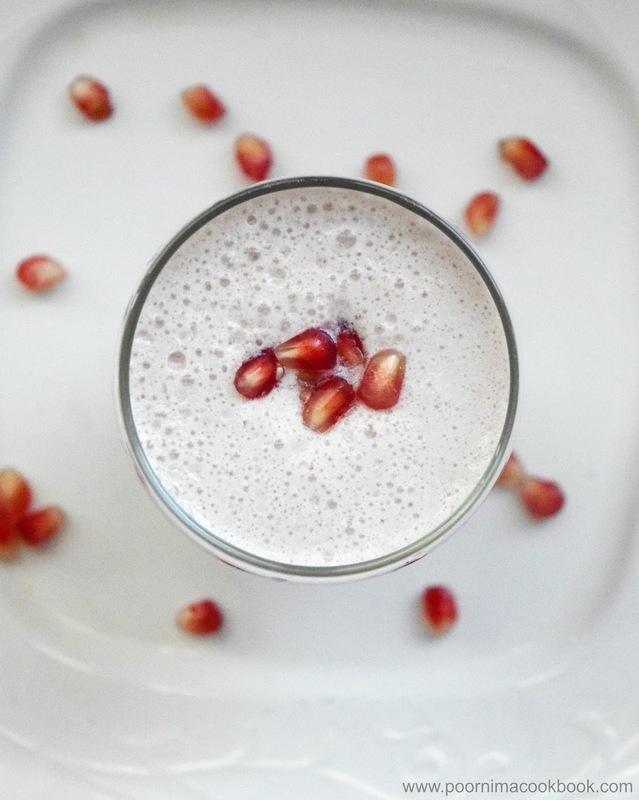 Here is a refreshing and heart - healthy milkshake prepared using pomegranate seeds, milk and sugar / honey. 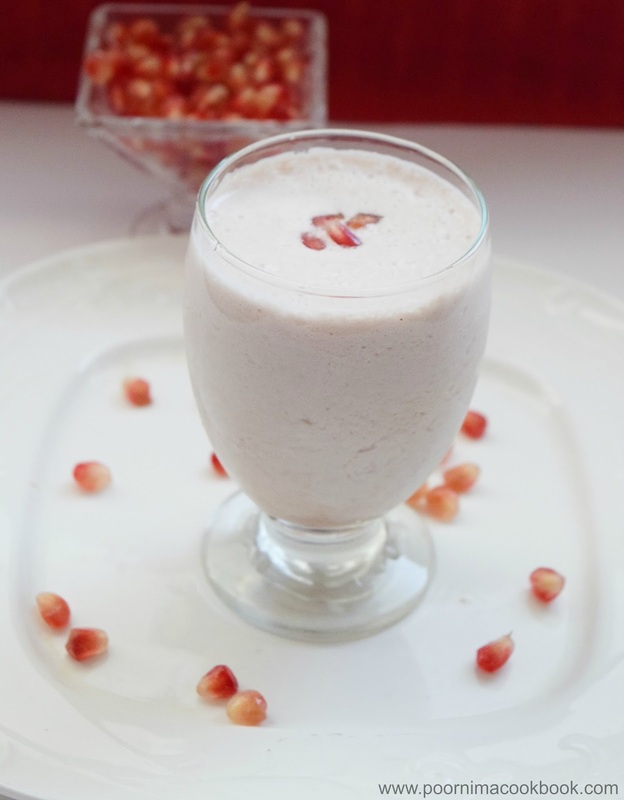 Pomegranate is a nutrition dense fruit which is helpful in preventing many diseases especially heart disease! Do try and include in you diet for healthy living! 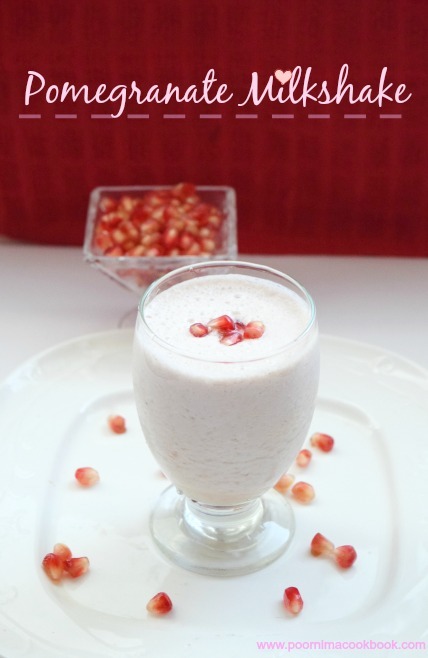 Pour the milkshake into a glass and serve immediately. 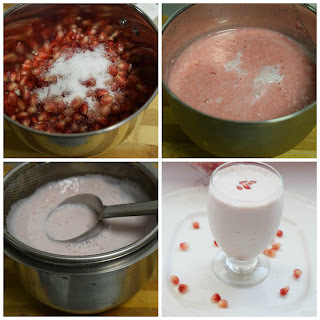 You can omit sugar and use honey for sweetness.